To Thailand lovers, one of the iconic food that resembles Thailand and make most of the travelers miss deeply is Thailand's famous milk tea called Cha-Yen. The first time I went to Bangkok I drank Thai Milk Tea almost every meal time! It is so addictive! So when I found out that ChaTraMue, one of Thailand's most popular milk tea opened their café at Plaza Low Yat, I tell Peiyue we MUST go and quench our thirst towards Thai Milk Tea at this place. Number one brand since 1945! 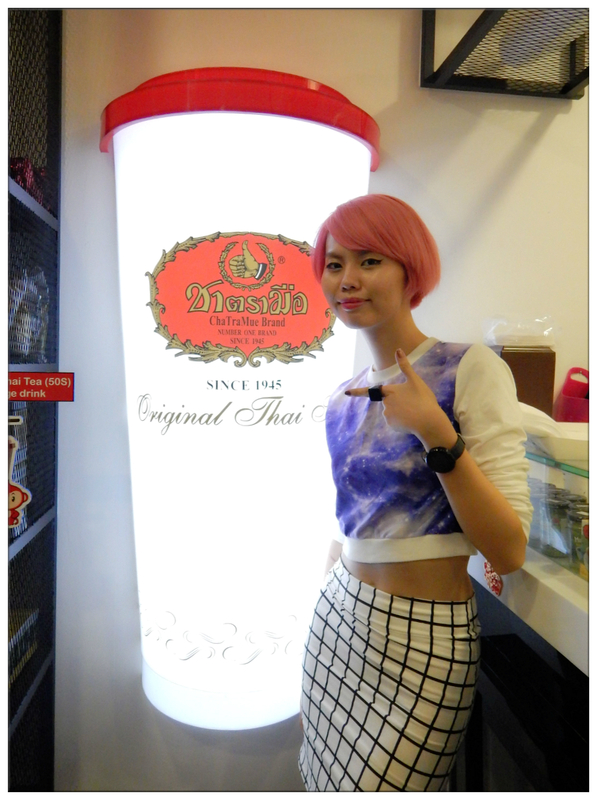 They sell tea leaves too, now you can make your own Thai Milk Tea at home! 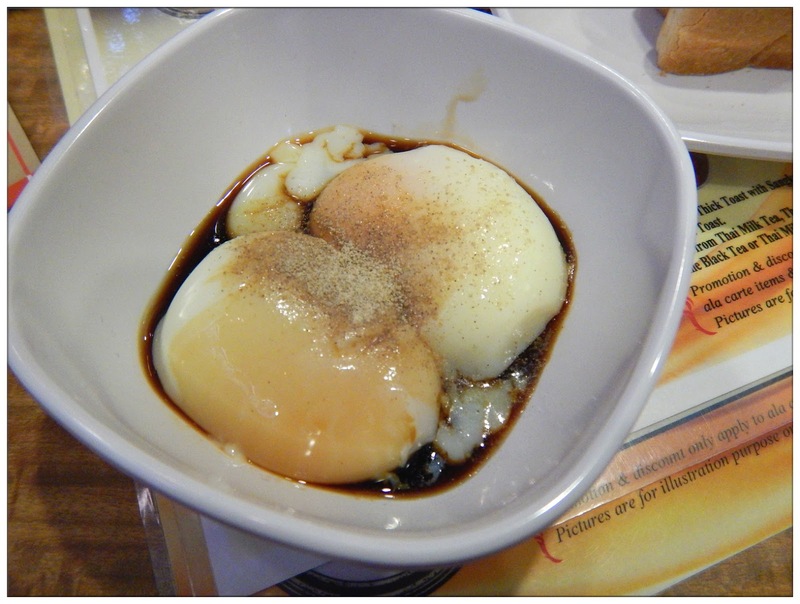 Besides Thai Milk Tea, the café offers ice blended drinks, other coffee and tea, light snack such as toasts and onsen-style soft boiled egg. I'm all-day-breakfast kind of person, totally cannot resist the temptation of soft boiled egg and toasts, so I ordered Set F (RM7.50) which consists of one large drink, toasts set and two soft boiled eggs. 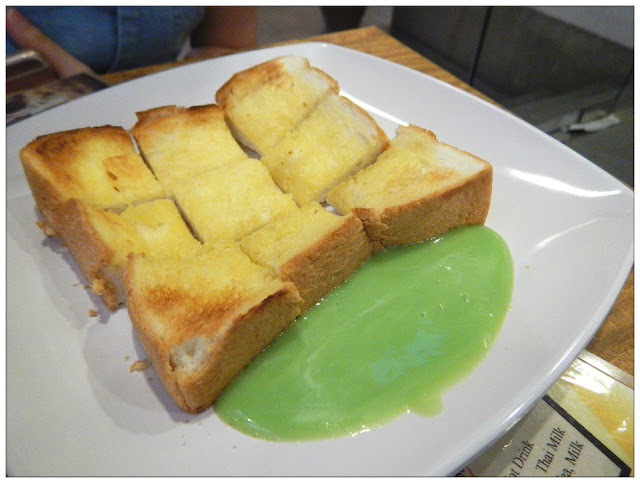 Savoury hot toasts pair with sangkaya, it's just perfect! Of course, the main purpose of coming to ChaTraMue is because of Cha-Yen! 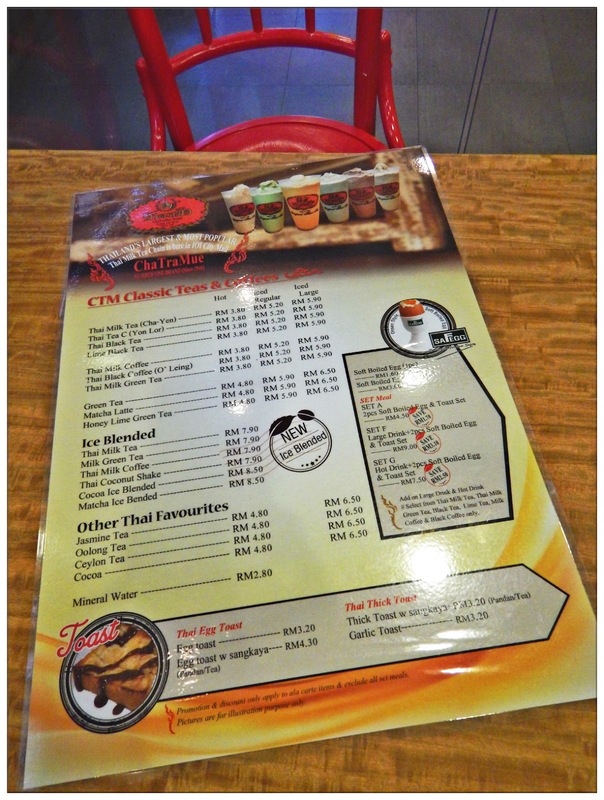 Cha-Yen are selling at RM3.80(Hot), RM5.20 (Iced Regular), RM5.90 (Iced Large). 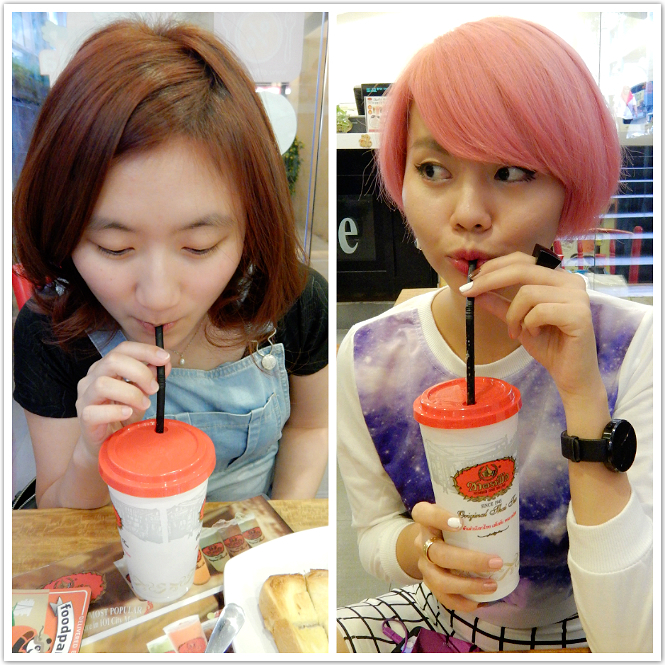 And did I mention that you can take the cup back home with you as souvenir? 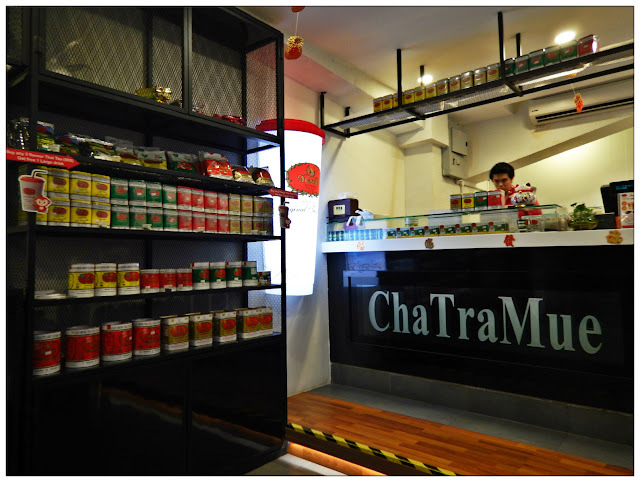 It is reusable plastic cup with ChaTraMue's trademark colour and logo on it. 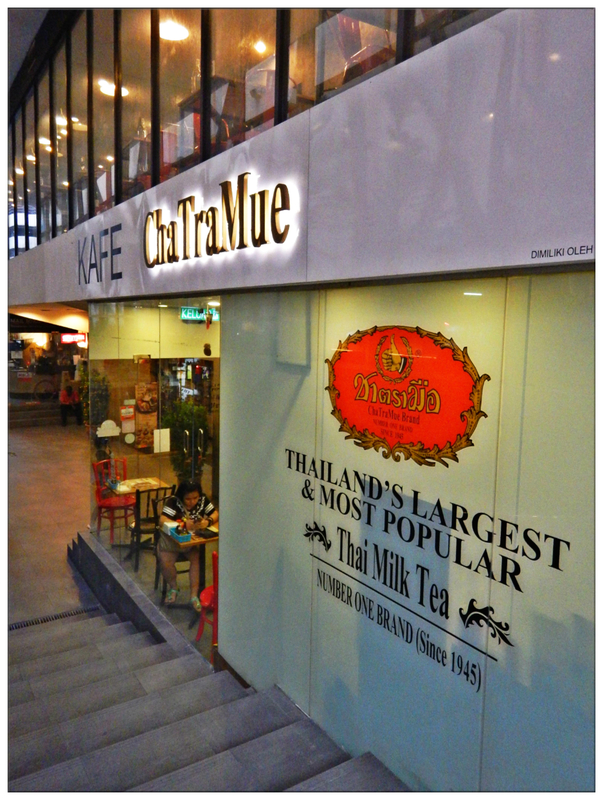 They may not taste exactly like the Cha-Yens you had at Thailand, but ChaTraMue café at Plaza Low Yat definitely had one of the closest taste of Thai Milk Tea. Not to mention that they have good toasts and soft boiled eggs too! Perfect spot to have afternoon tea in this busy city of KL! why no pix of jean? ?